Infrared camera is used to capture the image of a moving person in darkness as a measure of security. The surveillance systems used in home, office and commercial establishments uses infrared camera to monitor the premises. The infrared camera utilizes the infrared radiation generating from the body heat. The system senses the infrared and generates a video image of the moving person using the infrared camera. 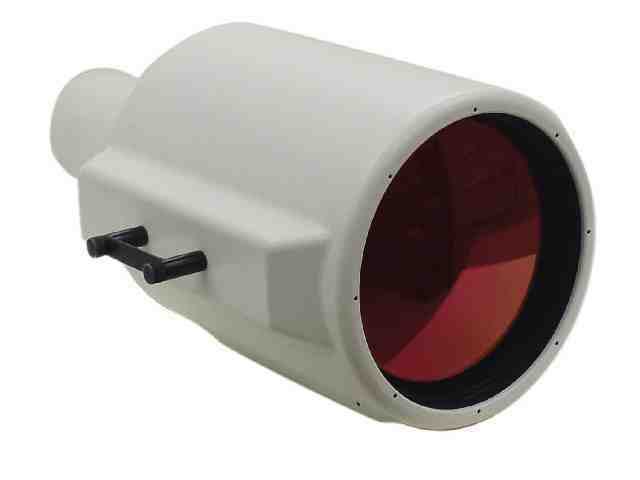 This device is sensitive to only the infrared range of the electromagnetic spectrum. 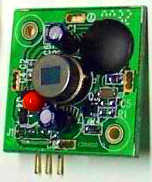 The system uses a Photocathode sensitive to infrared. The Photocathode consists of a thin layer of metal that can give out electrons by accepting energy from the infrared rays. The thin layer of metal is coated on a flat glass plate. A lens system is provided to focus the infrared light from the source into the photocathode plate. The metal coating in the photocathode is too thin so that when the infrared energy hits the front layer of the metal, electrons will be emitted from its back layer. 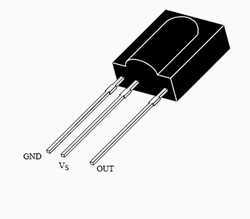 Thus the photocathode generates an electron pattern based on the infrared photons hitting on the photocathode. This Passive InfraRed Alarm system can switch on a Lamp or Alarm when it detects the heat from an object like moving person. 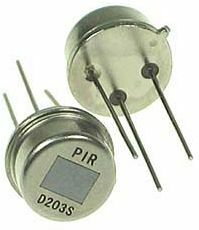 The name PIR (Passive Infrared) is given to the sensor because it receives the infrared rays passively and do not emit any infrared ray. The lamp or alarm remains on few minutes depending on the mono time setting of the PIR Sensor used. 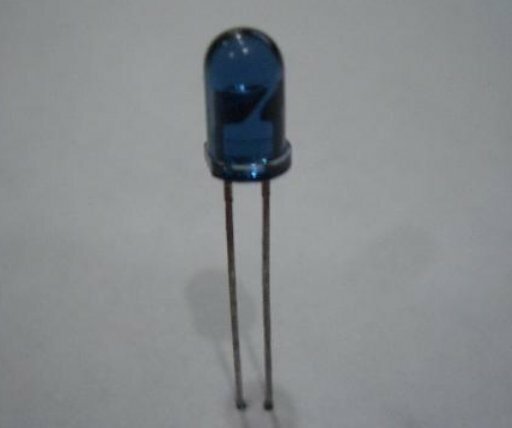 Ready to fix PIR Sensors are available with Fresnel lens to increase sensitivity and to filter ambient light. Its range is around 5 meters at 45 degree cone angle. Infrared is the invisible radiation lies between the Visible and Microwave portions of the electromagnetic spectrum. The term Infra means below the ability to detect visually and the term Red means colour of the light with low energy level. The Near infrared is close to the red portion of visible light and the Far infrared is close to the microwave region. Far infrared is thermal and we feel it as heat by the temperature sensors in our skin. Short and Near infrared rays cannot be detected since these are invisible as well as cool. Active infrared rays are produced from semiconductor sources but natural objects like animals including human beings emit infrared rays from the body heat. Humans at normal body temperature emits Infrared rays at the wavelength of 10 microns.PIR Sensors are used in surveillance systems to detect moving persons in protected areas.